Roj Jamyad Mah Amardad, 1378 Yz. On my numerous visits to Dungerwadi to attend the Paidust (Parsi funeral service) of relatives, friends and clients, I have observed widely divergent types of behaviour on the part other Parsis who come there for a similar purpose. There seems to be a general level of ignorance as to what needs to be done at a Paidust. 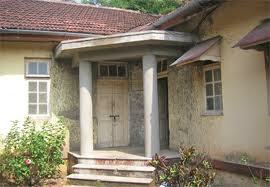 But over the years I have seen a general deterioration in the conduct of Parsis at Doongerwadi. I would like to share with you a few general observations, and then in subsequent posts we shall delve into the very deep significance of what actually happens at a Paidust and what great spiritual responsibilities are put on those who attend the same. It is my observation, and I am welcome to correction, but most Parsis seem to be incapable of keeping quiet! This disease seems to manifest itself more during religious ceremonies! I can understand if not many Parsis are motivated to open a Khordeh Avesta and start praying while attending a Paidust, but is it SO difficult NOT TO SPEAK? We attend a Paidust as a mark of respect to the person who has passed away, or as a show of compassion and sympathy to the relatives of the departed. Then why is it that the moment we spot a friend or relative, the immediate response is to sit next to them and start talking? I have seen Parsis so engrossed in their conversation that they do not even realise the discomfort they cause others by their loud voices. And the topics we discuss – that too at a funeral! It generally starts with hushed undertones as to “what happened?” or “how did he/she pass away”, then gradually turns to the relatives, perhaps taking a diversion to the expected division of the deceased’s properties, then in case of males a detour to the general economic climate, share bazaar movements, rising prices, the horrible boss at office, etc., while the female chatter drifts to the latest trip outstation, troublesome maids, children’s exams and tuition teachers, lazy husbands, the latest colony/community gossip etc. Of course while this is going on, the close relatives of the deceased sit in the front row, trying to come to terms with the loss they have suffered, the two Priests praying loudly desperately try to keep themselves from getting distracted by the chatter, and the Nassehsalars go about their job eyeing those who can be urged for “tips”. Is this any way for a so-called enlightened community to behave at a funeral? Our beautiful religion has prescribed a model code of conduct for such times, and as usual, we have forgotten all about it. Let us go through a few preliminary observations as to what our religion says we should do. In addition to expressing our sympathies at the bereavement of a loved one, our religion teaches us that attending the Paidust is a grave SPIRITUAL responsibility, which gives us an opportunity to help in the onward progress of the soul of the deceased. This is the PRIMARY objective of attending the Paidust. It is therefore obvious that attending a Paidust is not a social obligation but a RELIGIOUS SERVICE. Our entire conduct and appearance should reflect the religious responsibility rather than a social ‘visit’. Since this is a religious function, should not our dress be of a type generally associated with the religion? I am shocked to see even close relatives (sometimes the sons and daughters themselves of the deceased) dress in jeans and casual shirts of the most florid colours! A recent ‘fashion’ seems to be to dress in black! The over-reaching influence of Christianity and fashion through television and films seems to convince Parsis that it is OK to dress in black. IT IS NOT! While Christianity associates black as the colour of mourning, our religion distinctly instructs us to dress in WHITE! Some Parsis seem to go half way – a white shirt with a black skirt/trouser! What is the ideal and right dress for a Paidust? Firstly, it is preferable to have a different set of clothes to wear for the Paidust. These should be of cotton and white. For men they should be a long sleeved shirt (an old one which is not in normal use anymore) and a white cotton trouser. An old cotton Dagli would be even better. For ladies a plain white Sari with long blouse or a while Salvar and Kurta (both loose and not body hugging) would do. In terms of footwear, it is preferable to have a different set of leather shoes or sandals. Avoid rubber soled shoes. It is absolutely necessary to completely cover the head with a good Topi (can be black!) or a Matha banu for ladies. No hair should be visible from the front of the head. It is better to have a slightly large cap than a very small one covering only half the head. Some ladies desperately try to cover their head with the Pallu of the sari. This is not enough. The head must be covered with a scarf (cotton) folded over to give a double covering. Generally Parsis attending the morning Paidust come dressed in their office clothes and then go straight to office after the Paidust. This is very wrong. It is quite convenient to dress in the Paidust clothes and carry the office clothes in a separate bag or overnighter. Once the Paidust is over once can use the baths attached to each of the Bunglis at Doongerwadi to have a quick shower and change in to the office clothes. The Paidust clothes can then be washed at home and kept away for the next use. Parsis attending the evening Paidust can carry the Paidust clothes with them to office in a separate bag and change into them before leaving. The same clothes can be worn back home or alternately a bath can be had at the Dungerwadi Bunglis and the clothes changed. Those coming specifically for the Paidust from home can dress appropriately. We shall continue this discussion in a subsequent post. This is a very educative n sensible column. One really needs to know all these rituals. Thes e days, apart from our children, and grand-children, we too are unaware of many such facts. Certain religious meetings n lectures are being conducted by our religious scholars, but only in town area , not in suburbs , with the result, suburbians are left out. So this is very inviting. If someone is attending a uthamna ceremony at doongerwadi is it still necessary to bath after the uthamna is done ? Since there is no dead body in the Bungli there is no Nasu, hence it is not necessary to have a bath after attending the Uthamna. Off late I have observed at our Bunglis in Doongerwadi that many Zarthushtis, on the day of the Uthamna ceremony of their departed ones, decorate the floor place where the body was kept ( The rectangular place) with flowers and rose petals and what not. Some even put a divo in the centre of the rectangular place decorated by rose petals. The whole area look like a DURGAH of muslims and I am very sure this is the result of the influence of Zoroastrians following multi religious faiths. I asked the Mobed saheb performing the Uthamna about this and he showed his helplessness. I request Ervad Hathiram and Behram and many other knowledgeable members of our group to throw light on this.